With a gorgeous view of the Olympic Mountains and the Cascade Range waiting for you you’ll need to move to Edmonds, Washington as quickly as possible. As professional and local Edmonds movers, Gigantic’s Edmonds Movers are the friendly and dependable movers to count on. With Edmonds rich arts scene and great placement on the water, the city will have you trying something new everyday. Using professional movers will let you breath-easy when moving to Edmonds. Gigantic movers provide full service for your residential move, so you can leave the packing, hauling and transporting in good hands. With experts handling the details, you’re free to get better acquainted with your new home. With just over 40,000 residents, there’s a comfortable feeling to Edmonds, but the rich cultural scene will keep you busy and never bored. Edmonds Center for the Arts puts on various performing arts events and the Wade James Theatre puts on 4-5 main performances as year. Get an eye-full at the Edmonds Arts Festival and soothe your ears at the Edmonds Jazz Connection festival. The city keeps it interesting at every turn. Twists and turns are part of the cities vibe, too. Watch out for the local landmark the Edmonds Fountain roundabout on Main Street, it’s been hit twice. With a love for its scenery, the city hosts some great events. Get out your binoculars for the Puget Sound Bird Fest at the Edmonds Marsh. Get off the streets and out into the water. Edmonds placement on the eastern side of the Puget Sound offers a wealth of water activities. Get your feet wet on the Waterfront parks before moving onto bigger and better things like sailing and the Underwater Park. 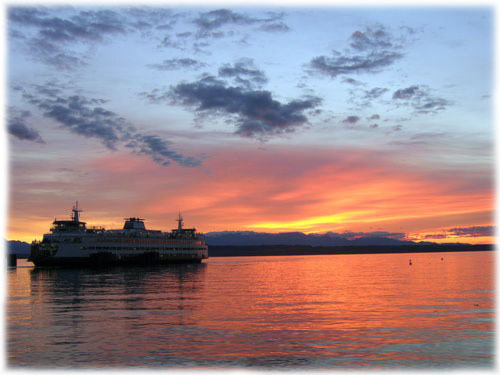 Edmonds has an award-winning marina for you to take advantage of, so try on your sea legs! While you’re in the water, Gigantic’s Edmonds Movers will be on the road hauling your items to your front door. Come home to your couches and chairs safe and sound. Take a little time and pamper yourself after the move to Edmonds. Head out for the Third Thursday Art Walks and stop in to one of the many independent restaurants and wine bars that fill the city streets. Take your time and enjoy what the city has to offer There are also vintage and eclectic home décor shops to pique your interest. Big things happen in the smaller cities, so let your local Edmonds movers help you with your move, and give yourself a chance to find your favorite new corner of the city. Take a close look at Edmonds Gov.